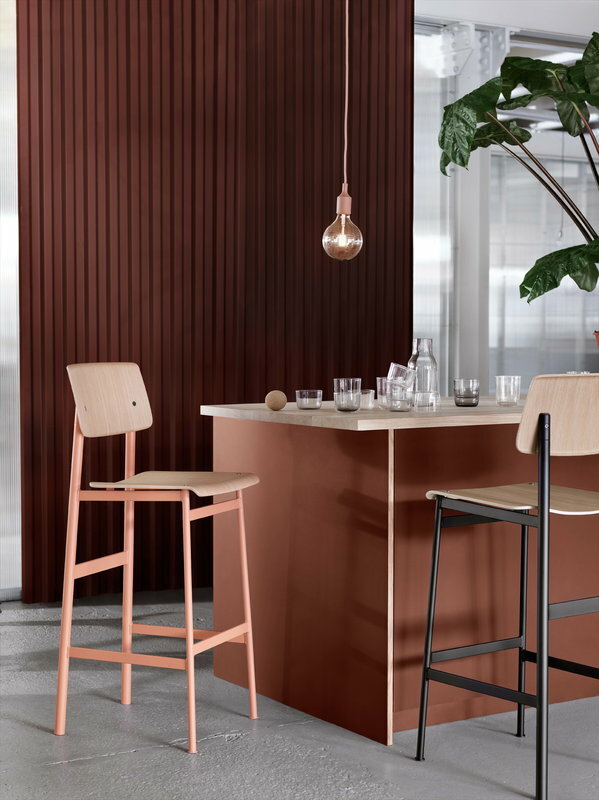 Muuto’s Loft bar stool, designed by Thomas Bentzen, features a straight, lacquered steel frame with a seat and back made of bent veneer. 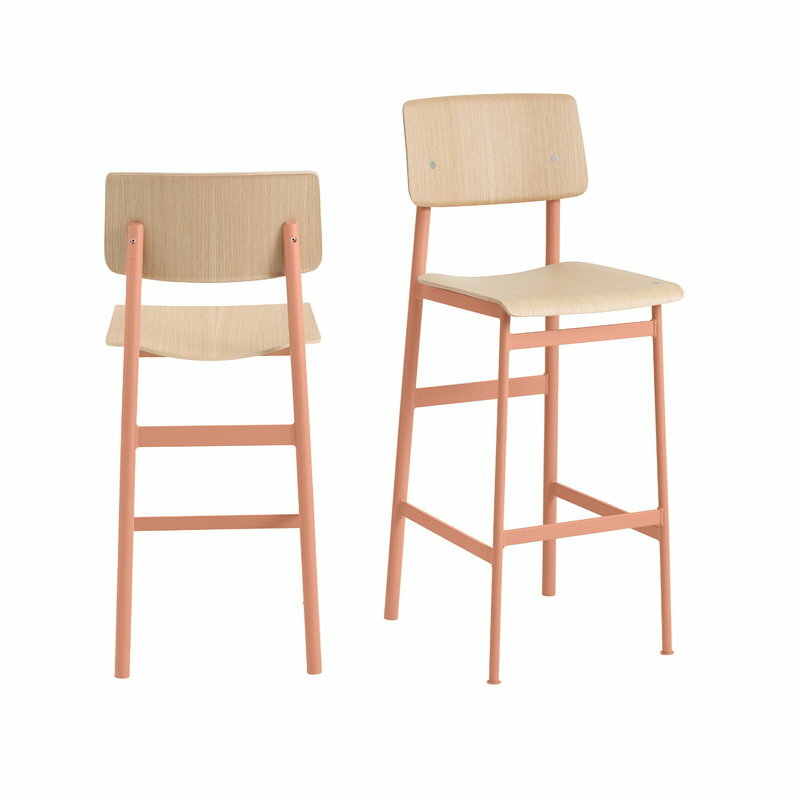 Loft bar chair is a playful junction of opposite elements, where soft and sharp shapes collide, and warm and cold materials meet. 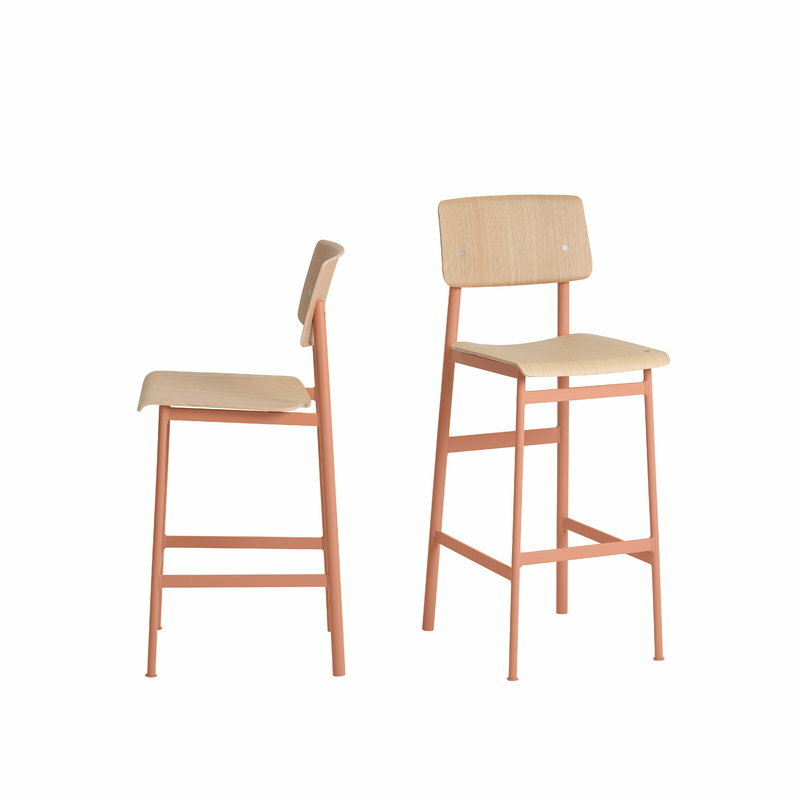 The result is a clear and refined design with a unique edge, making Loft a popular chair by kitchen counters at home and bar tables in cafés and restaurants. 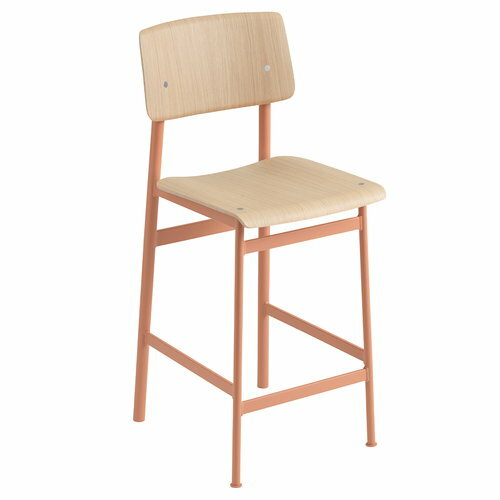 Loft chairs are available in several different combinations of coatings and wood surfaces. 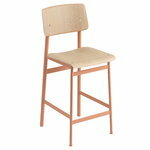 Comes with mounted plastic glides and felt glides for self-mounting.